Traditional methods of spine surgery can be very risky and involve long-term recovery. In recent years, with the development of technology, there has been a move towards using minimally invasive procedures to treat and diagnose spinal disorders. 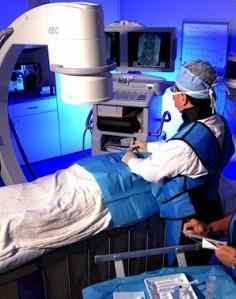 One of those minimally invasive procedures is known as image-guided spine intervention or IGS. 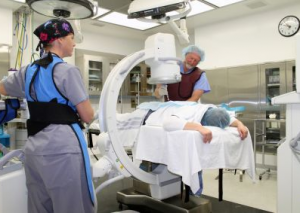 Image-guided spine intervention uses x-ray imaging to help guide the personal injury doctor to identify the area of the spine that requires treatment, without having to cut open the spinal region. Without completely opening a patient’s back to see the spine, the pain doctor can actually view the procedure being performed in real-time using computer technology, imaging, and instruments. Image guided spine intervention works using the same concept as a global positioning system (GPS). The federal workers compensation or personal injury doctors use the imaging to perform procedures such as transforaminal epidural injections and hip injections. For some patients, major back surgery is not ideal, nor can it be tolerated. In these cases, image-guided minimally invasive pain management procedures are used. Their minimally invasive nature helps patients who are in need of treatment and pain relief, but who cannot tolerate invasive surgery. Image guidance increases outcomes by increasing accuracy. It gives the patient the best chance of pain relief by allowing the injury physician to make sure the needle is accurately placed. Dye is often used to ensure accuracy as well. Before a patient undergoes an image-guided spine procedure, they are often given a CT or MRI scan. By collecting these scans and images ahead of time, the pain doctor knows exactly where the procedure is being performed and at how many levels. The most common image-guided spine interventions include percutaneous spine biopsies, percutaneous cervical disc decompressions, lumbar disc decompressions, percutaneous vertebral cement augmentation, and percutaneous spinal tumor cement and ablations augmentation. Percutaneous spine biopsies – These procedures are used to sample tissue and diagnose diseases of the spine including infectious, inflammatory, degenerative, and neoplastic issues. Percutaneous lumbar and cervical disc decompression – These surgeries are used to treat disc herniations that cause radicular pain to the extremities. Percutaneous vertebral cement technique – This is used to treat osteoporotic vertebral or sacral fractures that are causing pain. Percutaneous spinal tumor cement and ablations augmentation – This is used before, during, or after cancer treatments such as radiology and chemotherapy. The purpose of this procedure is to relieve pain and stabilize osseous neoplastic lesions on the spine.